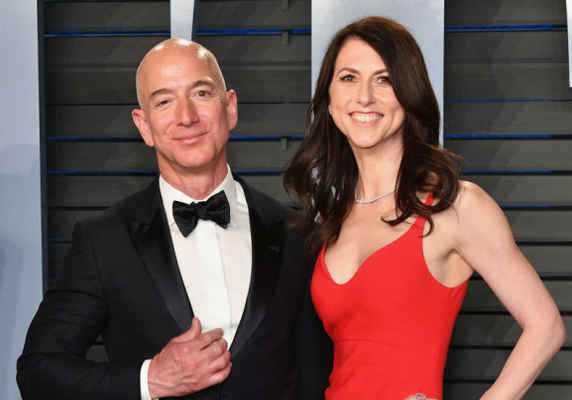 CEO of Amazon, Jeff Bezos and his wife MacKenzie Bezos have announced the end of their 25 years marriage. The couple share four children together, three sons and one girl. They announced the split in a joint statement on Twitter. 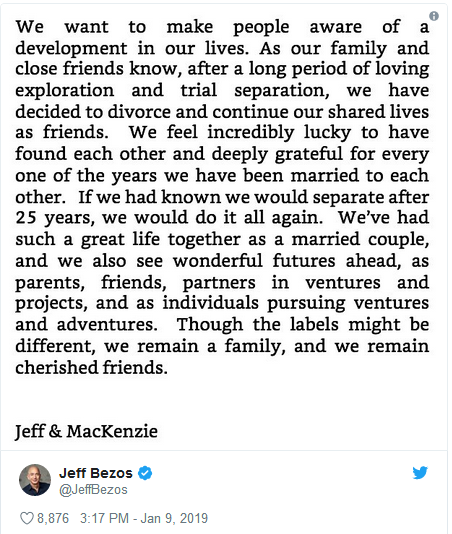 Jeff Bezos founded Amazon, then an online book store, a year after he wedded MacKenzie in 1993. Bezos, who is the world’s richest man, is currently worth $137 billion and MacKenzie is a novelist.